Hurricane Matthew – We survived and all will be well. We survived the wrath of Hurricane Matthew. We have some shingles missing, had branches down and a yard to clean up but we were extremely lucky and feel more than a little blessed after the Hurricane. Many others were not so fortunate. Our prayers and support are with them as they rebuild. Thank you to all those that emailed and texted to check on us and our home and studio. 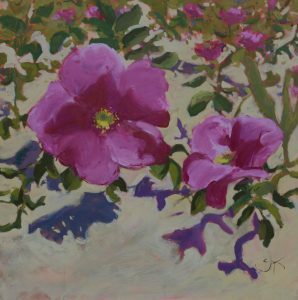 I am also thankful that gallery’s who represent my paintings, two in St. Augustine and one in Fernandina Beach escaped major damage. Paintings are safe and dry. The city of St Augustine is strong and will recover from this – those who know the spectacular “Nights of Lights” will remember its just around the corner. Thousands of tiny white lights brighten our city in the lead up to the holidays. It’s an event that’s become one of National Geographic’s top ten places to see holiday lights in the world , something tells me it will be even more special this year. Clean up in the City is already underway and we will again shine! I encourage those of you who can, to come downtown and support the independent businesses especially the artists in the historic Art District. 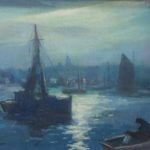 For two months now our Art Walk evenings have suffered due to bad weather. So please support the city you love and help independent businesses back on their feet. 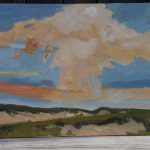 The Landscape Series – A selection of paintings are exhibiting at Plum Gallery, St Augustine and Art On Centre, Fernandina, FL. 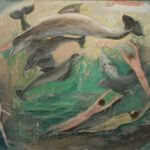 The Seascape – A selection of Paintings Exhibiting at the St Augustine Art Association, St Augustine, FL. Have you always wanted to participate in an artist residency? Plan your own ‘art trip’ have uninterrupted time, work and be inspired by a new environment? 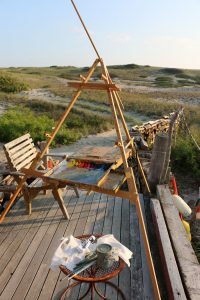 Join me as I share my experience as Artist in Residence at the C-Scape Dune Shack on the Cape Cod National Seashore. This was a rustic and basic living experience but I look forward to sharing my story and showing the extensive body of work I created in just one week. Date & Time : Tuesday 20th September, 7pm – 8.30pm. 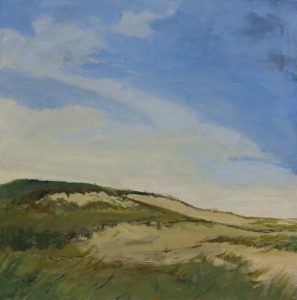 During the month of September exhibiting in the Marguerita Phillips North Gallery is a collection of works produced during my Artist Residency in Cape Cod. 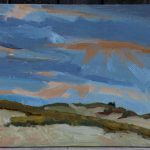 I will give a talk about my painting experience in the historic coastal Dune Shack on Tuesday, September 20, 7 to 8:30 p.m. in the Main Gallery. Admission is free but reservations are requested. 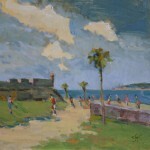 The St. Augustine Art Association is a non-profit art organization founded in 1924. The landmark gallery is open noon to 4 p.m. Tuesdays -Saturdays and on Sundays, 2 to 5 p.m. Admission is free. For more information and to reserve a seat at the talk, call (904) 824-2310. C-Scape Dune Shack, Cape Cod National Seashore. 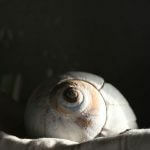 MA Aritst-in-residence Claire J. Kendrick. Please watch this short video showing a selection of seascape paintings from my studio and done “en plein air”. Enjoy! Have you always wanted to participate in an artist residency? 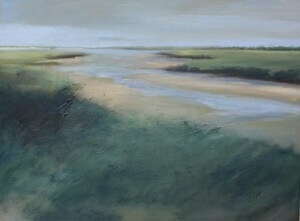 Plan your own ‘art trip’ have uninterrupted time, work and be inspired by a new environment? 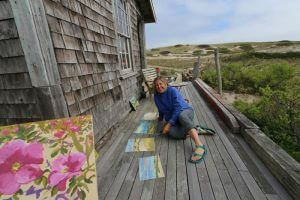 Join me as I share my experience of an Artist Residency at the C-Scape Dune Shack on the Cape Cod National Seashore. 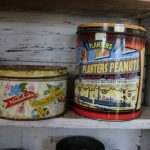 This was a rustic and basic living experience but use the advice to plan your art-inspired residence. 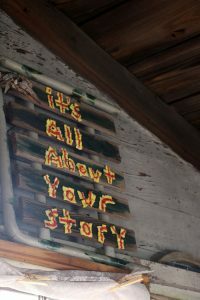 Claire J Kendrick, “A residency for me is about self-care, it’s taking time to connect with your emotions and ambitions. I started by doing a SWOT analysis (Strengh, Weakness, Opportunity and Threats) and it helped me focus on why I wanted to do the residency. I needed more time to work and I was curious to see what would happen. 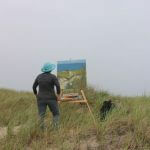 I am a landscape painter who loves to be outdoors working en plein air. A week away in the dunes would give me the solitude I needed, away from the constant interruptions of everyday life. So it was my intent to work and enjoy the freedom of working for long stretches allowing a flow in the work, to observe nature and capture hours of the day that would otherwise be a challenge. To be yanked free of cleaning rituals, household chores. No telephone, or technological distractions. This would prove to be liberating. What I wasn’t prepared for was the drive and passion that took over as if a part of me had been starved. At first felt a little guilty but I deserved and needed the time to work, yet I was surprised, astonished even, at how long the days felt. 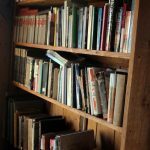 I worked prolifically and unapologetically…free of any constraints – it was liberating. I was experiencing all these wonderful things in nature, Sunrise and Sunset in the same day and was struck that I had no one to share it with. This is when the overwhelming sense of gratitude and self-sacrifice was apparent as a positive in my life and I no longer saw it as an inconvenience. The things that take us from our work make us more rounded, fuller emotionally and richer spiritually. It was humbling! It is a revolutionary act to look inside oneself – to see what I think, feel, need then looking outside of myself to see what others think, feel, and need. Then bring the two together in a new way. Almost all retreats have a tough, uncomfortable lonely moments. Be gentle with yourself and welcome those moments and you will grow from them. Harvest Curiosity, I allowed myself to paint things I wouldn’t normally. Stretch myself creatively. Play a little out of your depth. Good sleep, good exercise, not overeating, not poisoning our bodies with drugs or alcohol are all things we know in a modern educated world. 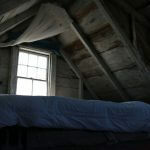 Asking questions before sleep, before working, before mediating, allows us to be self-aware. Taking in the Present moment! We create our everyday reality. These are observations by Henry Beston who spent a year in a Dune Shack observing Nature. His words were a marker for my appreciation of the area. I took inspiration from his stunning observations. The seas are the heart’s blood of the earth. Plucked up and kneaded by the sun and the moon, the tides are systole and diastole of earth’s veins. The rhythm of waves beats in the sea like a pulse in living flesh. It is pure force, forever embodying itself in a succession of watery shapes which vanish on its passing. The great rhythms of nature, to-day so dully disregarded, wounded even, have here their spacious and primeval liberty: cloud and shadow of cloud, wind and tide, tremor of night and day. 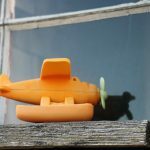 Journeying birds alight here and fly away again all unseen, schools of great fish move beneath the waves, the surf flings its spray against the sun. – Henry Beston, The Outermost House. 4am – Its very still – I realize just how windy it was last night there was quite a bit of noise from the creaking and rocking of the shack. It’s still dark out so I will try to get some more rest. Thinking about painting is making me restless. 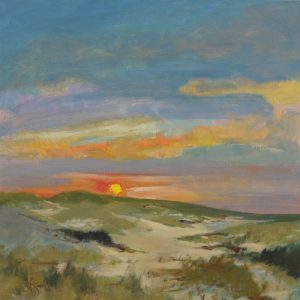 And another Sunrise painting as the great ball of light makes its way over the Sand Dunes. It would turn out to be a sunny day 5-10 knots sunny – I painted all day. 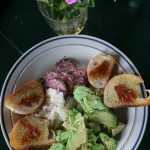 The radio reports traffic jams with people returning from the Cape to Boston its Memorial weekend – the traffic jams sound hellish – what a decedent feeling to be in the shack – I note the irony of this! I paint the view from the doorway of the shack. I plein air/studio hybrid. 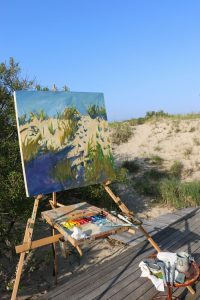 Beauport Easel has been a great investment – it’s been perfect for working on larger plein air. If the weather closes in I will use it inside the shack looking out the door at the huge dune scene right outside. Claire J Kendrick plein air set up for early morning painting. Viewfinder – easy to be overwhelmed with information here. A simple viewfinder has been very useful for editing scenes and keeping proportions correct. 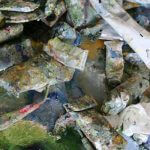 Plastic bag over paper in the outhouse – ceiling leaks. Furniture absorbs the moisture and the wooden chairs are preferable to the cloth. In my studio I make about three cups of coffee and never drink any of them. It is such a ritual to boil the water and wait for the filter to do its work I will sit and enjoy. Sea Salt Roses in bloom waft a beautiful scent. Fill creative cup, doodle, play, enjoy what comes, don’t be critical, it’s all for a reason, stretch and grow, grow creatively, appreciate. Reclaim the energy modern life drains from you. Avoid sameness, shake things up, sit in a different chair, see furniture from a different angle, sleep in a different place, eat wild foods at surprising times, go somewhere you wouldn’t go. Risk can be an important part of getting unstuck. 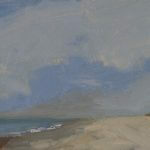 Small sunrise painting first thing – stormy weather last night took ages to get to sleep. 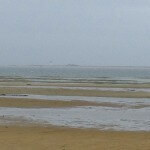 It took me a few days to find my rhythm and relax into living on the Cape. 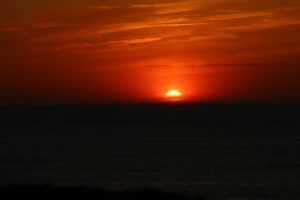 I followed nature waking at Sunrise and going to bed after Sunset and wondered why I have never done this at home! 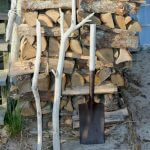 Work hard on Sunny Days – tomorrow may rain and you might be stuck inside. I don’t really enjoy being inside the Shack – I stopped myself from rearranging or from cleaning/tidying it. That is what I do at home it was not why I was here. In a primal way it was my shelter for the night. Quiet simple! I use fresh pumped water – There is some stock piling of water and I am not sure what the idea behind this is. The bottles have been cut open to allow easy filling from the pump they do not seal closed. I am not convinced that storing water like this is a good idea – mosquitos could lay eggs and it could make someone quite ill. 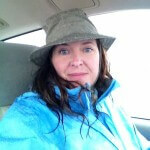 I like to pump water fresh daily – I boil it -to clean dishes, wash or steep feet after a long days walking. There are some light weight deck chairs in the shack I bring one to the crest of the dune and sit huddled and protected from the breeze. I watch the seals as they pop up and disappear again. I wonder if I will see them land, if perhaps I will also see the pups. I realize that since I have arrived I have been perpetually in motion. I have done an enormous amount of painting already and feel satisfied I am off to a good start. I know that the majority of work has to be done within two days of departure to allow for drying time. The last few days I will work small and use RayMar carry cases to get the wet work home. 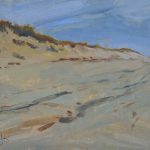 I worry about running out of canvas and having to paint over work – Although reluctant to do this as I have learnt in the past sometimes work needs time. What I don’t like now — may look different in a week or two. What is wonderful about a new place is that you see beauty in everything. As a less experienced artist I used to drive for miles to get just the right view – maybe it’s being more proficient with the paint or confident I feel I can tackle different things and the work speaks. It’s not only about painting a great view – it’s about saying something with the work. 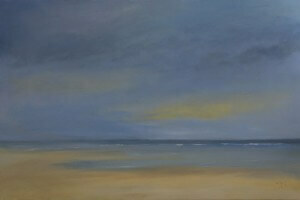 Some of the sunrise paintings may be a hard sell in the gallery’s but technically its great to conquer them. I enjoy painting them, I love being up early in the morning. Some of the small paintings are showing me I need to be more daring with my application of the paint. I am pleased with progress – but learning to set the bar higher. Oh how easy it is to be defeatist over attempts to capturing the majesty and beauty of the world but from time to time there is a glimmer – the essence shows through – oh how thankful I am for those moments. I have the usual limited pallet but a few new tubes are Gamlin Radient Blue, Naples Yellow and Old Holland Blue Hollandais Dark. OMG its still only Tuesday ….8 small paintings since I arrived Saturday…4 large… 2 more started… I am seriously going to run out of canvas. 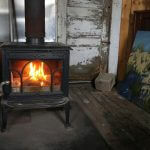 It’s so nice not to have any housework to do – I mean… I brush the sand out of the shack but with the door open there seems to be a light film of salt dust over everything by the end of the day again. I serialize the utensils and plates before using them with boiled well water then rinse them after use. I haven’t seen any mice or many bugs but assuming they are not here is foolish. Someone left a bar of soap by the outside shower it has been gnawed at – mice love the fat in soap so I am going to assume they are around and continue to sterilize before using kitchen stuff. 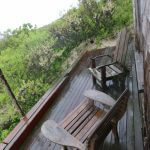 The shower seems to heat up pretty well by 4 – 5.30pm, it’s a rain barrel on the roof with a winding black hose snaked against the outside wall of the shack – its located at the back of the cabin and a large dune wraps around like a perfect wind barrier and privacy guard. I note Cape Air flight path is kind of close so if your modest keep a towel handy. 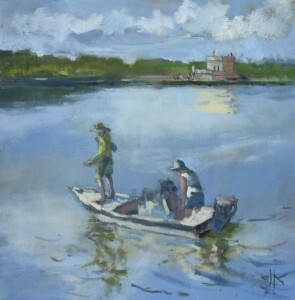 Claire J Kendrick works large outdoors capturing the scene en plein air. 8.30pm just back from Sunset on the beach – sad not to share it. Amazing when sitting on your own how long it takes. I think about all the times I have been out for dinner with family and we almost miss the sun going down whilst eating and chatting and having a few drinks. There was quite a bit of seal activity – they are camera shy – I think of the many things to show and share with my child. It’s a reminder that the National Parks are the best outdoor classrooms in the world. Its still Tuesday – I listen to the radio for weather reports and the rest of the week is good. 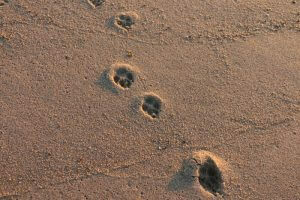 5am beach walk and sunrise – coyote tracks by the shack and on the beach. I foolishly burn my fingers on the gas ring trying to clean it too soon after cooking on it. – Luckily I have brought my own first aid kit and there are some packets of Burn cooling gel which is like some sort of miracle cream. I think about how vulnerable it must be to be sick or injured living alone miles from civilization. 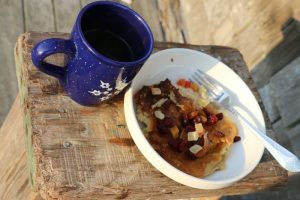 Dried fruit and pancake for breakfast with a coffee. Probably shouldn’t have read the Stephen King short story. Maybe they shouldn’t keep that in the library here. Or maybe I should be smart enough to avoid it. Finished reading “Please Kill Me : the uncensored oral history of Punk” while I was out here. If you haven’t read it (and I’m guessing you haven’t), its everything reviews say it is. A bit of a contrast to my surroundings. It’s hard to describe in words what this experience has been for me. 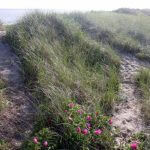 Having been a Cape Cod visitor every year since 1979 the dunes have always fascinated me. 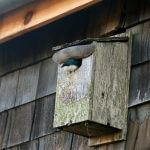 *Nesting terns are highly aggressive on the beach, they will dive bomb your head. Carry a tall light stick above your head, height makes them leave you alone. 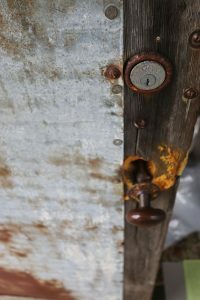 “Page after page whispers to me about the invisible web of shack dwellers that exists – none of whom necessarily “knowing” yet all w/a knowledge of this sacred place – its power to strip you down to nothing and fill you up w/ warmth, wind and belief. Enough at least to return to the real world and see a new form of light which went before. I am incredibly grateful for this week at the shack. Being disconnected from the demands of my everyday life has given me the space to truly appreciate all that I am blessed with. Check the water jugs for drowned mice *Before you use them. Finding out you’ve been using some sort of decomposing soup for your dish washing/bathing can be unsettling. 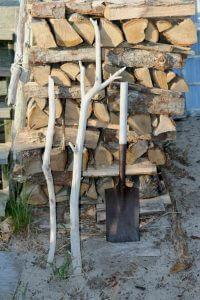 Wood stove will never, ever, ever heat up the loft no matter how much wood you burn. Yardam liquors is about 1hr walk and is well scorched!! 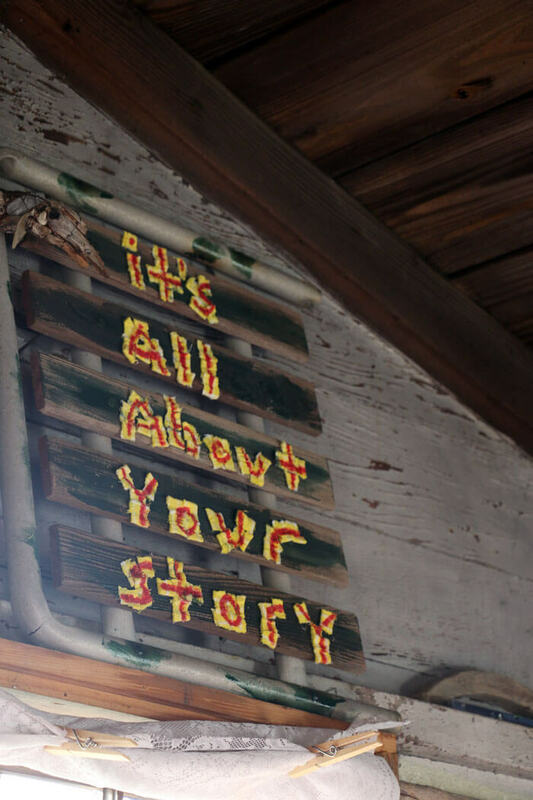 11.38am – Lazy morning on the deck, reading old copies of Provincetown arts and reading hilarious advice from other shack dwellers – I think about the guests these creaky wooden walls have protected. Each dune dweller is special and their unique voice sings through the pages of the journals. Taking time for myself has been hard to arrange but very worthwhile. I realize this has been the first time I have sat in the sun and relaxed since I arrived. 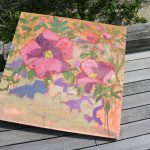 A carpenter bee is hovering over a bright part of my painting I have drying in the sun – I remove a colored scarf I am wearing for the same reason. “Help me” – I think I’m falling in love again – Joni Mitchell, was in the top 10 on this day in 1974 – I decide this radio station is a kinda hippy and kinda like it. Joni Mitchell lyrics are amazing and she is one of my favorite artists. Beach Path PHOTO by Claire J Kendrick during her stay on Cape Cod. 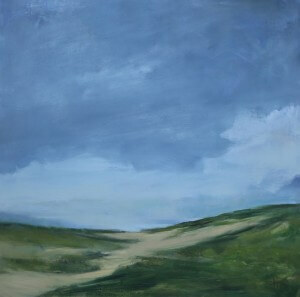 Beach Path Painting by Claire J Kendrick during her stay on Cape Cod. 8.55pm – I had a taste of civilization tonight. 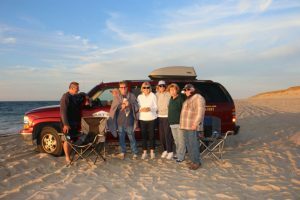 It was such fun – Arts Dune Tours were on the beach when I went down for Sunset. Met a new crowd of friends and they kindly asked me to join them for the sunset. They arrived in a 4×4 and poured out with deck chairs, wine, glasses, cheese, crackers, salami it was such a treat. I haven’t been drinking on this trip as it was just more stuff to pack so it was really fun to celebrate this occasion and this particular sunset was impressive, I don’t know if they realized how lucky that was. The driver had lived in Alaska and I decide my Dune Shack experience is positively glamorous by comparison. It confirms hanging with this great group of people that I am missing some company and I am looking forward to returning to civilization. Chilled white wine also not to be taken for granted. Earlier today (5hrs prior) I walked the beach to race point then uphill to the Visitor Center they charged my phone. 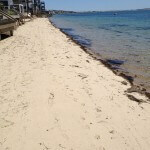 Soft sand moderate to advanced sinkage. Marching down the hill from the Visitor Center I’m stepping it out and wanting to get back before spring tide – and meet a cyclist who tells me to “Take it easy Lady Slippers” – gotta get with the lingo here! 5.15am didn’t sleep that great – I find it takes a long time to get to sleep. Not crazy about the futon mattress on breeze blocks. Hmmm ….no easy answer for a shack but I am wondering if a cot style bed without a mattress would be more practical for the damp climate. 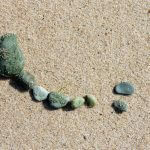 Time allows us to Fine Tune – it’s a Ta-Da thought O.K again TIME allows us to FINE TUNE. I like it and it sums up my stay. It’s possible to do a crazy amount of work and it’s also possible to sit and just be. I chose to work to get over the rawness of the living conditions, I worked to own a reason to be here. Work to avoid missing family. Work to have a feeling of achievement. Working really ticked a lot of boxes as a self-employed artist it’s what I do. Today it’s good to sit and listen to the bird calls – sun warming my face I can hear the ocean as I sip my coffee. The sunrise if they should be compared has not been as spectacular as it was on day one of being here. I literally jumped out of bed and started painting so glad that the palette was set up the night before. Something I learned as a young person doing the Duke of Edinburgh award scheme, always keep a set of clean dry clothes to sleep in – it’s a basic survival tip – put on damp or wet clothes during the day – as movement and exercise will keep your body warm. That particular morning I broke the rule not even stopping to change I dashed straight out of the shack and just started painting. Basic navigation, map reading and being able to read a hand bearing compass are all good skills – people have been known to get lost in these dunes and some of the walking is scary difficult. I enjoy a challenge, I think a good challenge can really make you eager to achieve more in your life. To push yourself a little bit adds an element of adventure to your everyday routine. Challenges and pain you face along the journey are temporary, success and achievement lasts a lifetime! As a working artist you have to take control of your career and in your choices. Fear necessity and creativity have a great time playing together – Ta-da my second one today. Again FEAR, NESSESITY AND CREATIVIY have a wonderful time playing together. Feel the fear and let it drive you to do wonderful things. 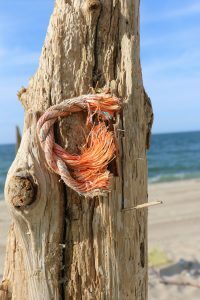 I have found that a few times during my solitude anger arises – I accept today that it’s a futile condition – I connect it to doing something and I think that’s a healthier way to deal with it. Quiet space – fill with work – uncomfortable space – discovery space – satisfaction space – achievement space – sad space – quiet space – gratitude space – angry space – calm space – lonely space – quiet space. So does work, distract me or balance me I ask myself! Soup from a can 2.55 – disgusting! Salami and apple instead. Lunch of bread, fig jam, Parmesan, Italian salami, apple. There is a mystical barrenness about this place. I feel that the shipwrecks of life have ended up here and a new generation of people forgot to notice them. 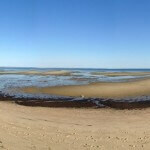 The contrast between the dunes and Provincetown are loud and proud. 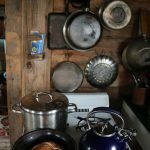 Off grid living may not be possible in a modern world, but it is possible to choose not to check social media so often. Modern life is so decadent and wasteful and convenient that we seem to prefer the cluttered chaos to the simple life. I have enjoyed meandering rather than power walking, life is slower more thoughtful more considered. 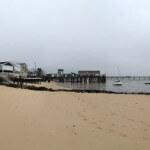 I walk towards Provincetown by way of the beach, a gentleman called Bill and his friend’s stop me. They are on a weeks fishing vacation and have been doing this trip, each year for the past 30 years. We saw you yesterday and offered you a ride – remember? They are sport fishermen in fabulous 4×4 vehicles fully kitted out with rod holders, coolers, a load of other things that are alien to me but clearly they could survive out here if ever stranded. 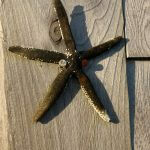 They stay along the beach and complain fishing has not been good this week. I think they must have wondered why this lone figure was walking apparently miles from anywhere. 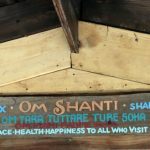 I explained the nature of the trip – and as most react – is it safe? Are you there alone? Do you have a gun? Actually I can’t remember if they asked me that but someone did. Being European we aren’t used to carrying weapons and my thought is the only predator in this situation would be another human. This strikes me as being a very strange thought and I realize how if I lived in a high risk zone (I have in the past), this would be a rational question. The Truro Fishermen tell me it’s a really long walk into Provincetown so I decide to walk to the small airport and call a cab to take me to town. 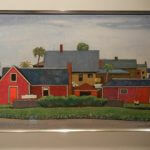 I start at the East End and check out Berta Walker Gallery on Bradford Street. I am casually talking with them and tell them about my stay in the Dune Shacks and about the painters during the 1900’s who travel during the winter to Florida and established our art association. It’s important because everyone recognizes Provincetown as an artist colony but we need to spotlight St Augustine in the same way. My motivation for the trip was actually to escape the summer heat in Florida and travel to the Cape to plein air paint when it’s actually getting too hot to do that in Florida were temps were already in the 90’s. 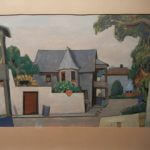 Gallery Manager Grace Hopkins starts pulling wonderful paintings from the archives – I am amazed this is a complete surprise, she shows me a wonderful nocturne by (Tod Lundenmuth, (1885-1976) Nocturne, SLL Oil on canvas board, 12 x 16” ) and a study of St Augustine street scenes clearly some of the buildings were recognizable and palm trees featured in work when they had not before. Just as my trip was capturing dunes and landscape that was unique to the area. Grace Hopkins, Curator at Berta Walker Gallery. Romolo Del Deo, Sculptor. When researching my Dune Shack experience I watched a short by Kirsten Dirksen and I tell him I recognize him from the film. 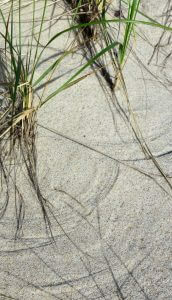 He spoke passionately and informatively about life on the Dunes which makes sense he grew up on the dunes he tells me. His mother a political activist saved the land from being developed into a Coney Island style resort before it became part of the National Parks. Their family knew and looked after Harry Kemp in his old age and took on his shack. His mother and father were introduced by friends and his whole life is woven with interesting stories and friendships with famous writers and artists. Our conversation takes an interesting twist when both he and grace agree that it is been interesting and sometimes difficult to follow in the footsteps of successful parents. For each of them they grew up surrounded by the arts it was part of their life. 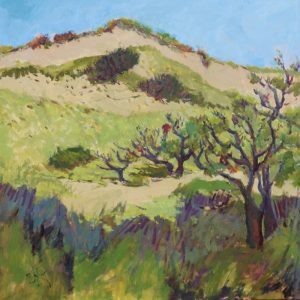 Packard Gallery, Leslie Packard & Anne Packard, Provincetown June 2016 Nudes by Cynthia Packard. My next stop was the Packard Gallery I see friend and mentor Anne’s car parked at the door – she’s surprised to see me!! Well – she shouts How is it!!!? 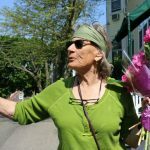 Anne is known in Provincetown as the Grand Dame and it is with affection and pride for her gallery and work has been exhibiting in the area for 60+ years. 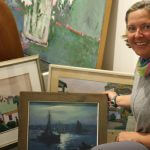 Her work brings the viewer to an easy calm, ironically not reflected in her life story! 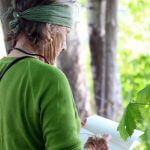 She has fought struggled and now 83 she rides the wave of success with an easy satisfaction. Still at times amazed by her own success she recalls the early days when selling work from the fence of her home doing art fairs, her success wasn’t overnight but she made some risky savvy decisions along the way. Not afraid of a little gamble she says it was risk and dare that helped her along the way not to mention talent and guts. “How long do you have – she asks me?” I have a few hrs – “Come on lets do a few gallery’s together”! Off we go in her beat up car as she dishes out insults and praise in equal measure about work exhibiting in the town. She is known for her direct, sharp temperament. 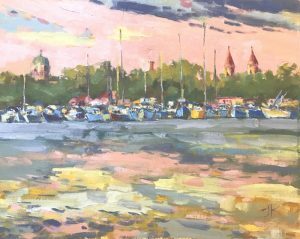 Getting to know Anne I also have got to know an excited curious painter who is eager for more in her work, often full of regret about some of her decisions to please gallery’s and not spend more time developing her own craft. Her voice as a painter is strong and confident yet this melancholy lament leaves me asking what it is she wants to say in her work. There is something more. There is always something more with painting, I don’t think you ever reach an end point it’s a skill a craft a passion that has no end point. Frustration and Will drives her onward. Maybe bravery and risk wave at her and she’s not sure about taking the leap at this stage in her life. I don’t know….! Her career is a success yet she is needing more. Her mentorship has always been important to me. She gives me brutally honest opinions on my painting – she sets the bar high. Asks hard questions. Her caution comes at mistakes she has made in business and warns me against making the same mistakes. She is generous with her time and during the next two days drives me to favorite painting spots. We go to more gallery’s and revel at the mastery and miserable paintings we see. Anne Drops me at the Beach access and I would walk the 40mins or so back towards the Shack stopping to watch the sunset. Its one of the most amazing sky’s ablaze with color. I am wind beaten from my time outdoors – my heart is jumpy to return home. 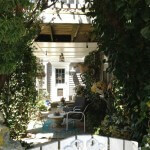 I will spend a further two days with Anne in Provincetown reviewing and shipping work. Tonight watching sunset felt lonely. I am really lucky to spend my life with such special people who are all behind me in my career. I appreciate them. It is by far the most magnificent sunset since arriving on the Cape. I confess at my delighted to be nearing the end of my stay at the shack. A week is enough I can’t explain it –. The ocean and seaside are in my veins I grew up on an island. Being in nature was welcoming and wonderful. John and the sound of the 4×4 marked …. it was the end of my stay at C-Scape. My year upon the beach has come full circle; it was time to close my door. 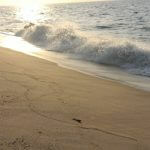 Seeing the sunrise and sunset each day a ritual, watching breakers born of a swell roll up the sand and smash the shore – spray and foam and energy release, and so it is time to breathe again. Following the natural pattern of life brings one to an easy calm…….The ancient values of dignity, beauty and poetry which sustain it are of Nature’s inspiration: they are born of the mystery and beauty of the world. – Henry Beston, The Outermost House. This place has a mystical baroness. One has to live in, to experience it. I am honored to join a long list of talented artistic people whose creative journeys have brought them here. I feel I have graduated into a special tribe of Dune Dwellers by staying in one of the historic Dune Shack’s. The solitude struck me, and I worked prolifically to fill the void. My wish coming here was to have more studio time it was my intention to paint. 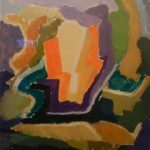 I was compelled to use every moment painting feverishly – greedily grabbing every moment waking at 5am – the days were long. I just can’t believe how long the felt. It was as if one day became two. Amazing how much can be done without distraction or interruption! 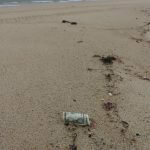 When weary from work I walked the beach, finding humor in the items washed ashore. Washed up items formed a narrative and it was fun to observe. Thank you C-Scape – Jay, Tom and John. We are all custodians but you have maintained a special place allowing artists an opportunity to self-care, develop, thrive and to be inspired. 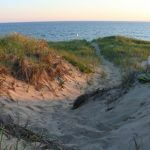 Find the correct beach path to avoid finding yourself at the top of a two story dune cliff. One artist in residence writes “I slept like a princess beneath the mosquito netting….” – this was NOT my first thought but I was grateful for the tip and positive sprit of this resident! 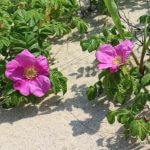 You build a stamina for beach walking – Dune Legs quickly develop (ignore the burning). 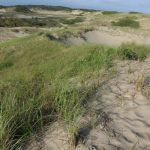 I was thankful for the walking stick idea, for getting up a very steep dune..it really helps!! Good traction on low tide – lightweight walking shoes! Spring tide high tides makes soft sand slow going. Don’t give bugs or critters a chance to dine with you. I scraped every scrap of leftover food into a Ziploc bag and kept it in the freezer. Dump at the end of your stay. I feel valued as an artist to have this opportunity. Gratitude fills your heart during this experience. Seals become your lookout friends. It took me a long time to unwind and I really enjoyed this place for what it is. I hope you find that space with ease. Making tea/coffee becomes a ritual take time to enjoy the labor involved. In Ireland there is an expression used frequently when describing a distinct personality. “They are the salt of the Earth” – I feel connected to this part of my being. I have a hankering for my homeland. C-yourself @ C-scape – O.K a bit corny but observe your lesser and finer traits and acknowledge them. Fear, Necessity & Creativity have a wonderful time playing together here! I mostly use fear to propel me to work! I worked a-lot. Always keep one set of clean dry clothes to sleep in. –Sleep is important. Time allows us to Fine Tune!!! Don’t miss the light show at Sunrise and Sunset. Exercise is a good answer to restless sleep. Weather on the hour – 104.7Ocean. Lemons for water and cleaning the water stains off the sink. Viewfinder a good tool for editing a scene it’s easy to try to put in too much. Beauport Easel has been great for oversized work. Easy-L for smaller plein air work. 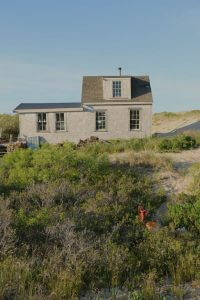 “For a small group of intrepid adventurers, summer means living in a minimalist shack on the dunes at the tip of Cape Cod. 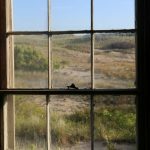 For years the diminutive abodes have attracted artist, writers and naturalists longing to escape the hubbub of the hectic world of their day-to-day lives.” – Josephine Breen Del Deo, The Watch at Peaked Hill Outer Cape Cod Dune Shack Life 1953- 2003. 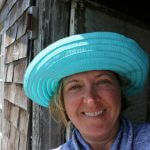 Claire J. Kendrick was awarded through the Provincetown Community Compact, an opportunity artists around the world dream of, a residency in the Peaked Hill Bars National Register Historic District. 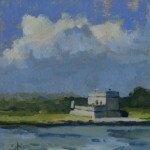 Kendrick’s residency in Provincetown was primitive only allowing for basic essentials in an effort to preserve and enhance the natural beauty of the Cape reflected in her paintings. 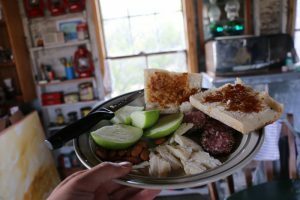 Residing in one of the 19 well-known Dune Shacks; there was no electricity or indoor plumbing, no refrigerator and little connection with the outside world. 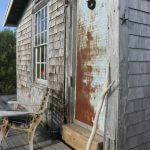 The Shack was tucked away from civilization, but it has lodged several famous artists and authors throughout time who have been in search of seclusion in which to work. The great rhythms of nature, to-day so dully disregarded, wounded even, have here their spacious and primeval liberty: cloud and shadow of cloud, wind and tide, tremor of night and day……Journerying birds alight here and fly away again all unseen, schools of great fish move beneath the waves, the surf flings its spray against the sun. – Henry Beston, The Outermost House. 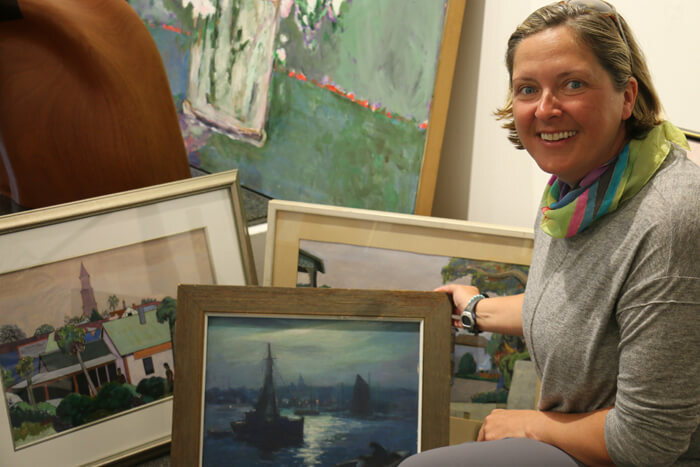 The East Coast Draw for Artist C. J. Kendrick – Retracing the steps of artists from the early 1900’s visiting two of the east coast’s artist colonies. 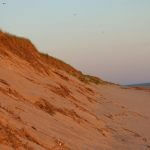 Cape Cod, Massachusetts is a popular summer retreat where locals and visitors marvel at the natural breathtaking scenery of the dunes and beaches. 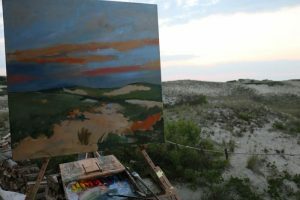 When on vacation on the Cape most enjoy luxurious accommodations; however, artist Claire Kendrick will be experiencing the preserved natural landscape in a much less lavish but connected way. 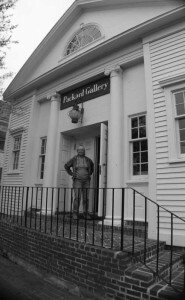 Kendrick has been awarded through the Provincetown Community Compact, an opportunity artists around the world dream of, a residency in the Peaked Hill Bars National Register Historic District. 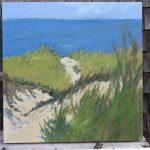 Kendrick’s residency in Provincetown will be primitive only allowing for basic essentials in an effort to preserve and enhance the natural beauty of the Cape reflected in her paintings. 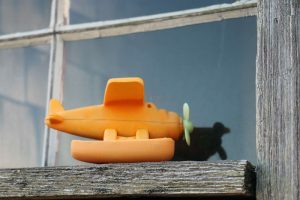 She will be residing in one of the 19 well-known Dune Shacks; where there is no electricity or indoor plumbing, and little connection with the outside world. 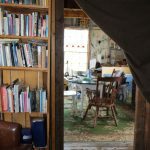 The Shack is tucked away from civilization, but it has lodged several famous artists and authors throughout time who have been in search of seclusion in which to work. 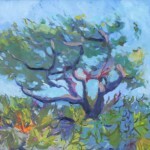 Claire Kendrick is an accomplished and celebrated artist of the St. Augustine, Florida art community. 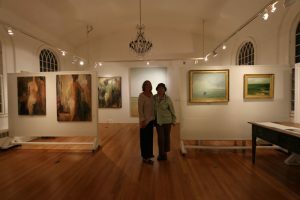 She is an active member of the St. Augustine Art Association, one of the oldest non-profit art organizations in Florida with deep ties to its Northeastern counterparts. 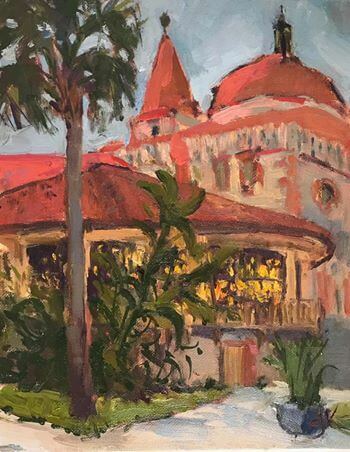 “Claire is an extremely talented artist who is constantly perfecting her craft and seeking new and inspired forms of expression,” said Elyse Brady, Executive Director of the St. Augustine Art Association. “Her Artist Residency in Provincetown revives the tradition of traveling to far-flung artist havens to capture the essence of the coastal landscape,” she added. Kendrick has received numerous awards…. 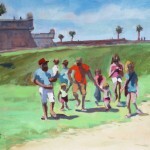 Most recently she earned a top award in the National Parks Centennial Find Your Park Plein Air painting event at the Fort Matanzas and Castillo de San Marcos national monuments in St. Augustine. 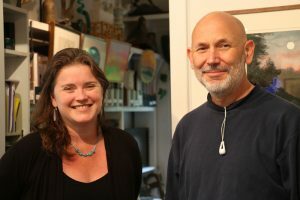 Her work has been exhibited on historic Aviles Street–the oldest street in America–where the studios of “the lost colony” artists flourish today as art galleries. 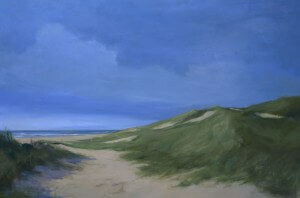 Over the course of Kendrick’s career she has produced a fabulous series of seascape and dune paintings. 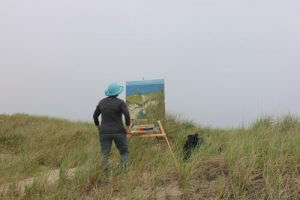 During her residency she will explore and paint the landscape that inspire her. This will not be her first time capturing the North East’s coast. 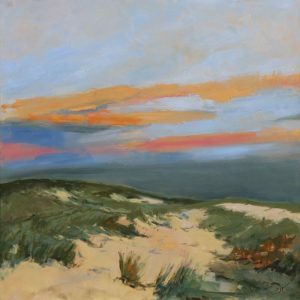 In 2011 she accepted an invitation from renowned landscape artist Anne Packard to paint at her home in Provincetown, Massachusetts. Artist Claire Kendrick is thrilled yet apprehensive to embark on such a rare artistic opportunity that will take place in such a historically rich natural atmosphere. She states “It’s both marvelous and frightening, life will be stripped of the unnecessary—no cell phone or computer—only the essentials, paint supplies, a gas ring to cook on and gas light to read with at night, perched in the dunes with uninterrupted views, this is escapism and a chance to observe and emotionally connect to nature in its raw and finest moments. 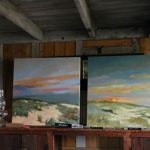 This is the thrill of the plein air painter.” Kendrick will be taking in every second of her Dune Shack experience and transferring it onto canvas, creating brilliant works of art which will reflect the magnificence of the Cape. Follow her blog at www.cjk-studio.com. Elyse Brady, Executive Director of the St. Augustine Art Association. Jim Zimmerman at the Provincetown Art Association and Museum who shared files from the archives on Lucy and William L’Engle he also introduced me to “Art in Narrow Streets” by Ross Moffett outlining the first thirty three years of the Provincetown Art Association 1914-1947. Two of my paintings have been juried into the America’s Parks exhibition at the Lightner Museum from June 9 to Aug. 31, 2016. A ‘Meet the Artists’ Opening Reception limited to 200 guests will be held from 5:30 – 7:30 Thursday June 9th. Call 808-7330 for tickets. The exhibit will run through August 31st at the Lightner Museum. 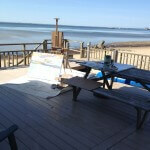 The Provincetown Community Compact, Inc. (The Compact) have awarded me a residency at the C-Scape Dune Shack located in Cape Cod. MA. C-Scape is one of 19 shacks located within the Peaked Hill Bars National Register Historic District. The primitive nature of the structure—no electricity, indoor plumbing, or telephone—and its physical isolation allows for uninterrupted solitude and refuge. The dwelling is a 1 1/2 story, three- room structure, including a studio and wood stove. 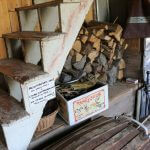 It has a propane cooking stove and small refrigerator, and a composting toilet. 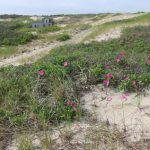 The dune shacks are mentioned by Henry David Thoreau in his book Cape Cod published in 1865. The famous playwright Eugene O’Neill, who purchased one and spent many summers there with his second wife, Agnes Boulton. 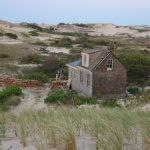 O’Neill penned Anna Christie (1920) and The Hairy Ape (1921) while living in his shack, and in doing so gave the whole collection of dune shacks something of an arty cachet.” Other artists and writers lived in the primitive dune shacks, including Harry Kemp who proclaimed himself “the Poet of the Dunes,” Jack Kerouac, e. e. cummings, Norman Mailer, and Jackson Pollock. 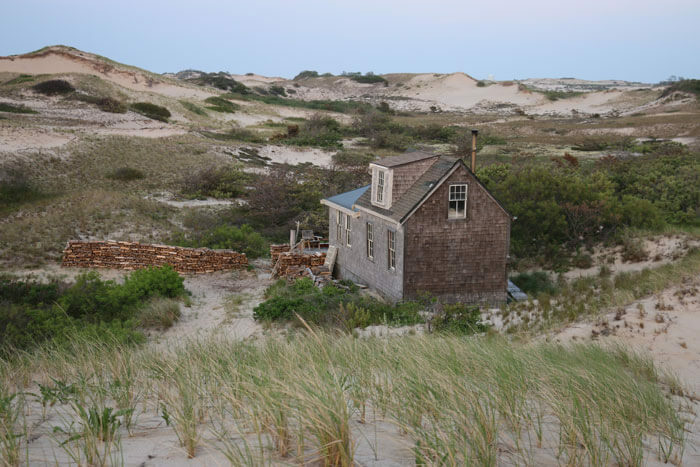 Writers who wrote about the dune shacks, besides Thoreau, included Henry Beston, whose The Outermost House chronicles a season spent living in the dune shacks, and Hazel Hawthorne-Werner, who wrote Salt House about her year in 1929 in the dunes. 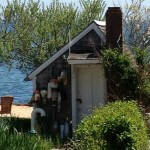 Today there are 19 dune shacks in the historic district, 18 of which are owned by the National Park Service. Private individuals are able to enter a lottery for an opportunity to reside for a period of time in the shacks. – Wikipedia.org. 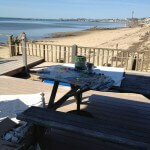 The Provincetown Community Compact, Inc. The Compact was established in 1993 by Jay Critchley as a community-building and philanthropic organization to support living artists and the vitality of the arts community. 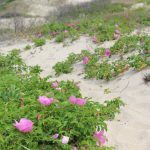 The mission of The Compact is to advance the health and cultural wellbeing of Provincetown, its people, and the natural environment of the Lower Cape. 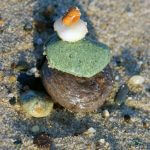 The Compact also acts as an incubator (think-ubator) for social, environmental and artistic projects. The Compact has envisioned Provincetown as a Cultural Sanctuary. 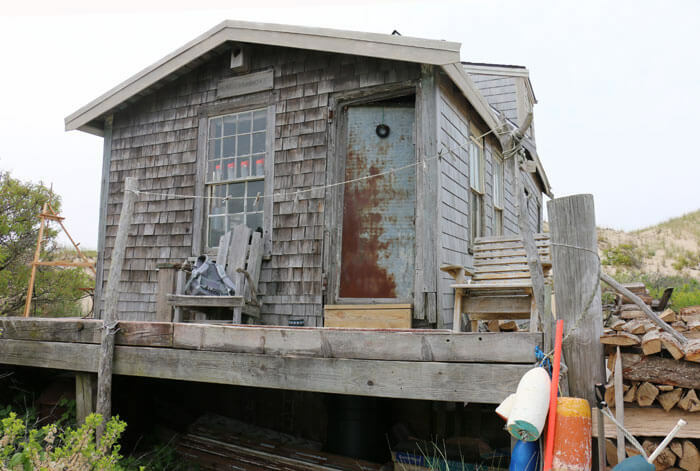 – The Dune Shacks described by Sculptor, Romolo Del Deo – in the Kirsten Dirken video “Dune shacks: taste of Cape Cods’ Floating & well-aged homes. A Must See!!! The Cape Cod National Seashore (CCNS), created on August 7, 1961 by President John F. Kennedy, encompasses 43,607 acres (68.1 sq mi; 176.5 km2) on Cape Cod, in Massachusetts. 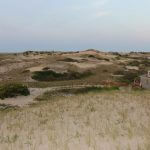 It includes ponds, woods and beachfront of the Atlantic coastal pine barrens ecoregion. 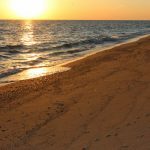 The CCNS includes nearly 40 miles (64 km) of seashore along the Atlantic-facing eastern shore of Cape Cod, in the towns of Provincetown, Truro, Wellfleet, Eastham, Orleans and Chatham. It is administered by the National Park Service. Originally from Northern Ireland – Europe’s North West outpost – Kendrick came across the pond to the United States in 2006. 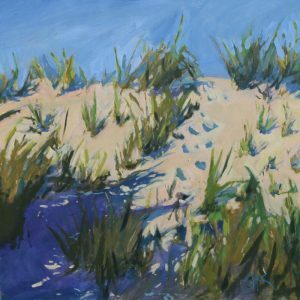 Kendrick travels the road less traveled, with the phrase “Less is more” from her friend and mentor Anne Packard who introduced her to life on the Cape. 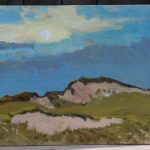 The two met in St Augustine and admired each others work and Claire was invited to paint at Packard’s coastal home in Provincetown 2011. It was a surprising invitation to those who know the infamous painter who is extremely private & reclusive – even to the professional galleries who represent her work. 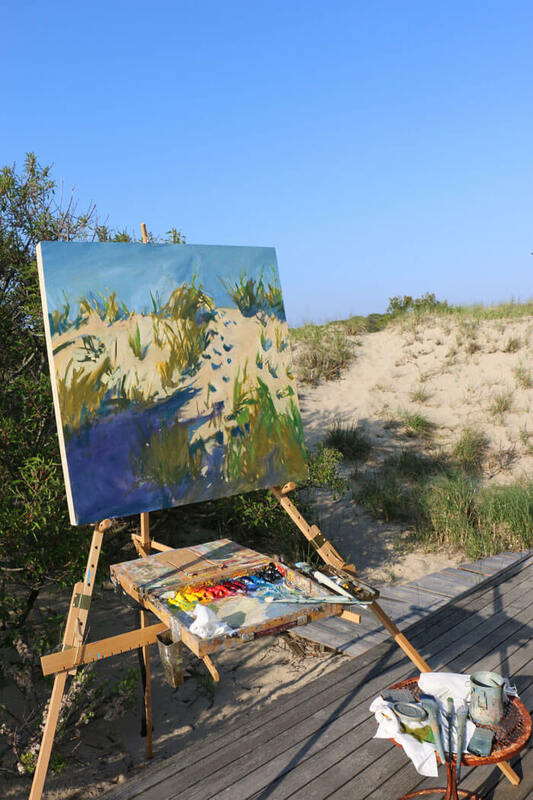 Photos of Kendrick’s last trip painting plein air in Cape Cod with Anne Packard and her daughter Cynthia Packard back in 2012. It was a trip that marked tremendous growth in her work. 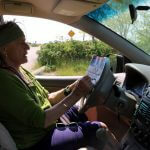 To read about her 2012 experience Painting with the Packard’s click on this link. 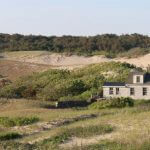 Click – To learn more or apply for a Residency Programs – Dune Shacks of the Peaked Hill Bars Historic District. 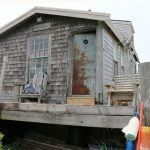 “Dune shacks: taste of Cape Cods’ Floating & well-aged homes. – A Must See!! !